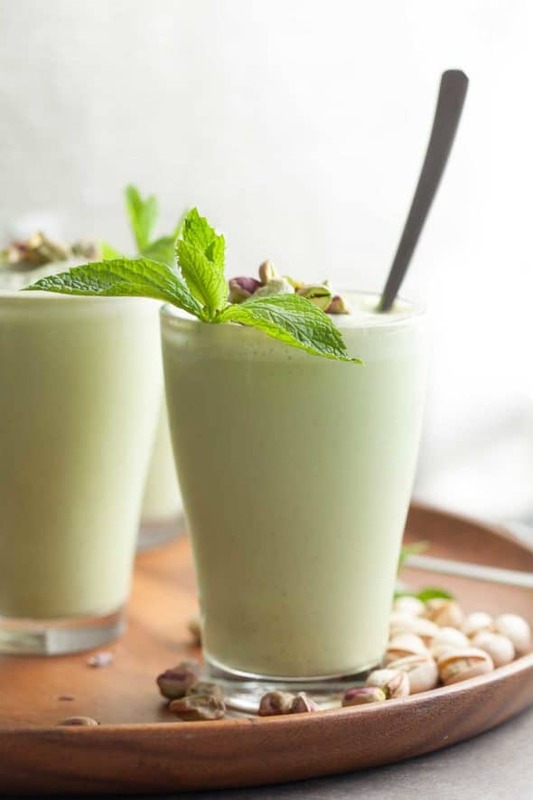 A refreshing and energizing blended iced latte made with pistachios, mint and matcha. If you’re looking for a coffee-free way to start off the day or get you through the afternoon then look no further than matcha. 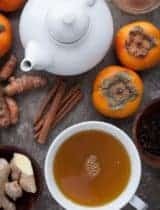 The bright green tea powder seems to be making its way into everything these days, and with good reason. Unlike the jitters and subsequent crash you can sometimes get with coffee, matcha provides a subtle boost that’s energizing but not overstimulating. 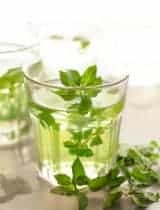 I love its clean, fresh grassy flavor and how easy it is to use (no steeping necessary). 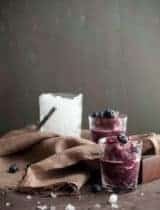 And while you can certainly whisk it into just about anything like ice cream, pudding, etc…, one of my favorite ways to use it is in a good old iced latte. The creaminess and richness of milk is the perfect complement to the vegetal taste of the green tea. 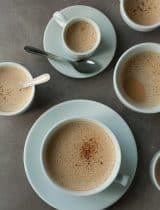 I prefer to use coconut milk for its clean, sweet taste and to keep my latte dairy-free. I also blend in pistachios and fresh mint, both for color and maximum flavor. In fact you could even skip the matcha and just pour that over ice and call it a day if you wanted a completely caffeine-free iced drink. The pistachios and mint give the milk a lovely green hue and uniquely refreshing zing (think pistachio ice cream crossed with mint chip). 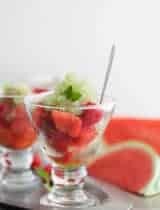 But if you’re looking for something with a little more pep, then I suggest you throw in a scoop of matcha powder too. I like to serve mine blended frappé style rather than poured over ice so that it’s nice and icy throughout. 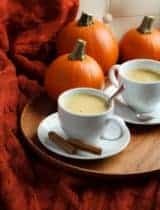 Blending it make it feel like a real treat rather than just a drink since you can either sip it through a straw or eat it with a spoon. Top it with some whipped coconut cream if you’re feeling a bit more indulgent. A refreshing and energizing blended iced latte made with mint and matcha. 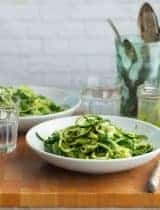 Whisk the matcha with 2 Tablespoons of hot water in a small bowl until smooth. Set aside to cool. 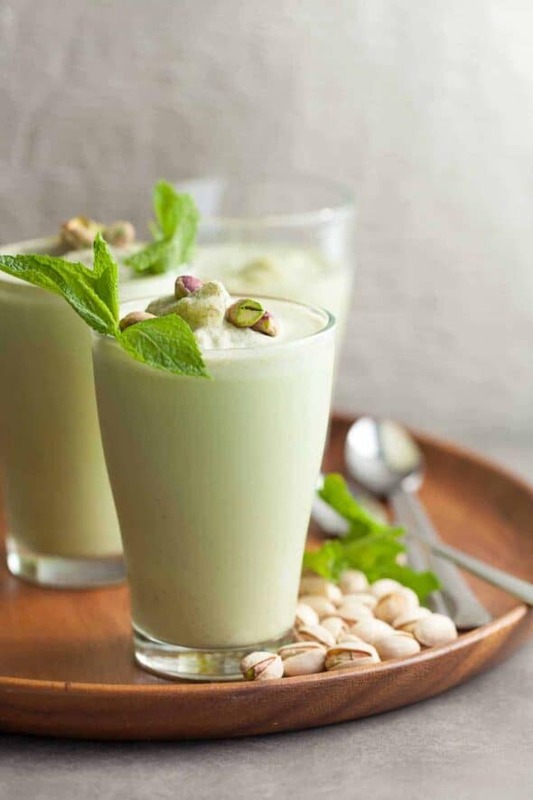 Place the coconut milk, pistachios and mint leaves in a high speed blender and blend on high until smooth. Strain to remove any pieces of pistachios or mint and pour back into the blender along with the cooled matcha, sweetener and ice cubes. Blend on high until well combined. 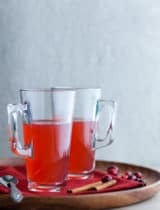 Pour into chilled glasses and serve immediately or top with whipped coconut cream if using. I, too, so love that you blended this up instead of serving it over ice - it's such a creamy and delicious drink! 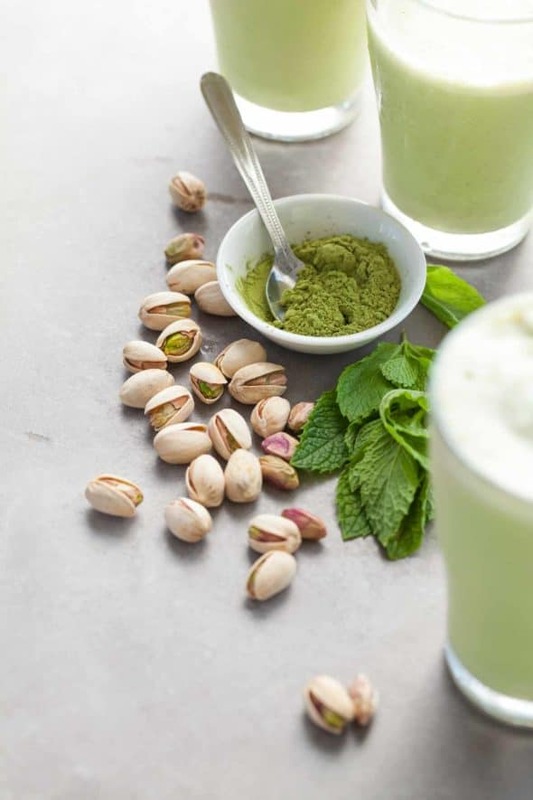 Loving this brilliant combo of matcha and pistachios and mint! That is a beautiful drink. Looks like such a treat! Love your pictures!